Malawians have urged government to consider reforming institutions that the residents perceive to be corrupt saying the institutions make the government lose resources. 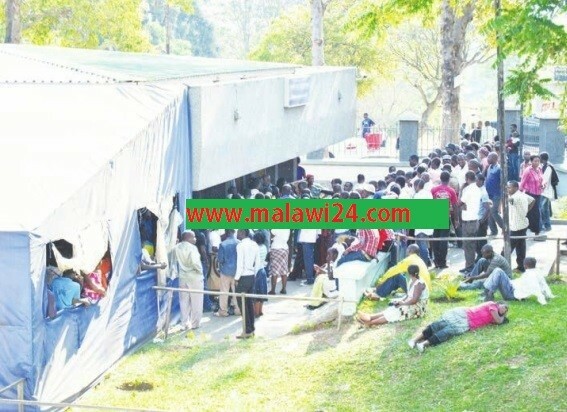 In random interviews with Malawi24, Mzuzu City residents named the Anti-Corruption Bureau (ACB), Immigration Department, Road Traffic Directorate (RTD) and Malawi Revenue Authority (MRA) as the institutions they perceive to be corrupt. One resident, Griffin Mwase suspected that there are loopholes in such departments that allow staff members to turn into corruption addicts. “The ACB is making government lose a lot of resources since it is very weak to investigate and pursue cases involving high profile fraudsters. “Secondary school graduates aspire to join Department of Immigration because its employees are guaranteed wealth within a short period. “Much as I support the public reforms I will be happy if government considers reforming these departments,” said Kumwenda. About 95 percent of the interviewees said they perceive MRA to be corrupt and urged government to reform the institution. The residents also alleged that MRA officers are probably the ones behind the current tampering of electronic fiscal devises (EFDs) as they get money from business operators in return. “It is surprising to learn that even a watchman at this department is wealthier than a doctor. “How can a country achieve economic independence when those collecting tax are corrupt?” queried Gilbert Mvalo who works at an Asian-owned shop. 85 percent of interviewed residents had the view that reforms will be of more benefit if they will make such departments accountable and less corrupt. The problem is that those ppl or institutions bound to do the reformation are also corrupt..
Talk of the Police, Immigration, Road Traffick & MRA, MANEB, u can name it all… corruption is everywhere…look at the cashgate issue, some are evn walking freely …Corruption is Everywhere even at Church..